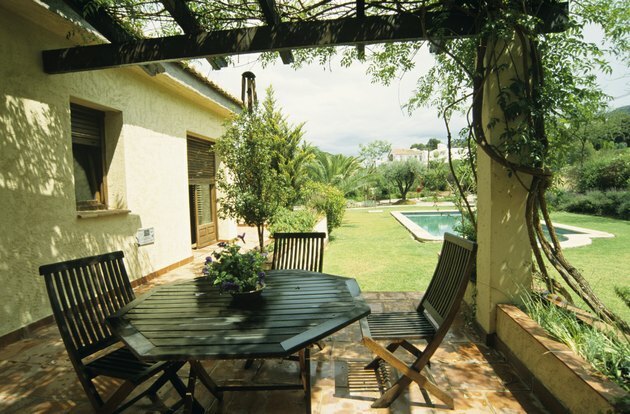 A patio is usually a comfortable spot to eat, read, relax or just take in your yard's scenery -- but if the area is in the path of strong winds, it can be difficult to enjoy your time there. 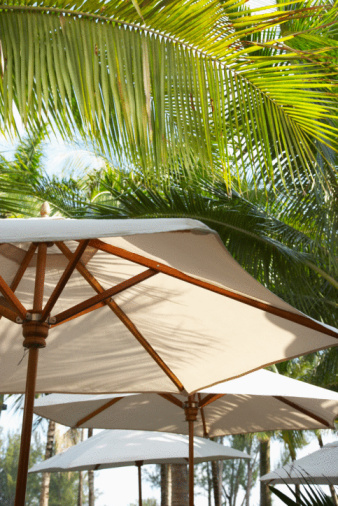 Shielding your patio from the wind with some type of barrier is an effective solution, but with so many windbreaks to choose from, finding the right one for your yard can be a challenge. The key is finding a screen that complements the rest of the landscape while still providing effective protection from brisk winds. Fencing and panels are often used to shield a patio from the wind. However, solid barriers are usually not as effective in blocking the wind as louvered or separated panels because the wind blows over the top of a solid barrier and drops down on the other side at full force. A wind screen that allows some air to filter thought it diffuses the wind so it's not as strong. A lattice or louvered fence works well as a windbreak because the holes in the material allow air to pass through. 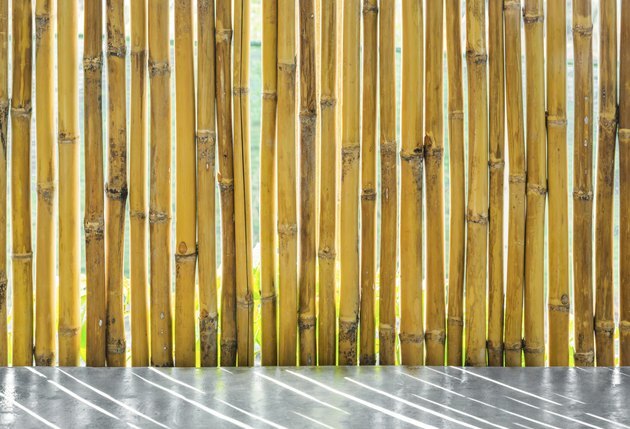 Bamboo fencing is another effective option. Living wind screens can be extremely effective in shielding a patio from wind -- and because many building codes don't put height restrictions on hedges and shrubs as they do for fencing, you can create a taller screen that provides even more protection for the patio. 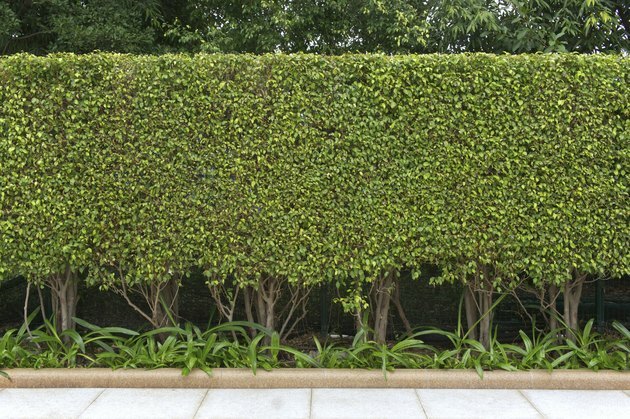 Hedges and shrubs also allow some air to filter through to help weaken the wind. North privet (Ligustrum x ibolium, hardy in U.S. Department of Agriculture plant hardiness zones 4 through 7), rose of Sharon (Hibiscus syriacus "Minerva," hardy in USDA zones 5 through 8), and emerald arborvitate (Thuja occidentalis "Emerald," hardy in USDA zones 3 to 7) are all ideal options for a patio wind screen because they can all grow to approximately 10 feet to effectively block the wind. However, it takes time for hedges to reach full maturity, so they may not be as effective in the first few years after you plant them as they will be later on. 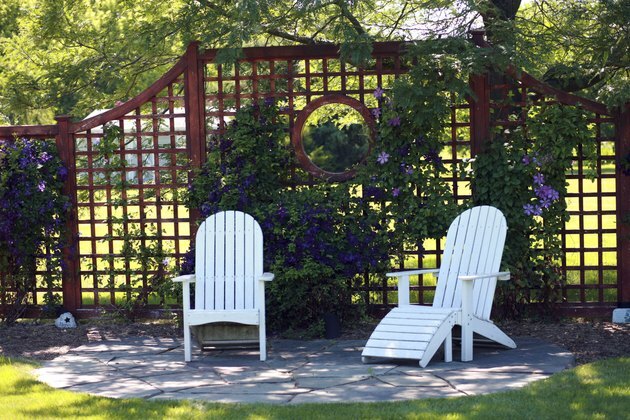 A lattice fence behind two reclining chairs. If you prefer a more decorative look for your windbreak, trellis panels are an ideal option. Like lattice fencing, a trellis has a woven design that allows some air and light to pass through. However, they are usually paired with climbing plants that grow over the panels and through the lattice to create a lush green windbreak that's less costly than a row of hedges. If you want a simple green plant to grow over a trellis windbreak, English ivy (Hedera helix, hardy in USDA zones 4 through 9) is a climbing vine that grows easily in full shade or full sun. Be aware that English ivy is an invasive in some regions, so double-check its status in your area with an extension office or nursery before trying to plant it. For a more colorful windbreak, train clematis (Clematis montana, hardy in USDA zones 6 through 9) or moonflower (Ipomoea alba, hardy in USDA zones 9 through 11), which both produce white blooms, to grow over it. Bougainvillea (Bougainvillea glabra, hardy in USDA zones 9 through 11) is another attractive option. Hand holding a piece of plexiglass. If your patio offers a striking view of the surrounding landscape, you probably don't want a windbreak that blocks the vista completely. But sitting on a patio without some type of buffer can be extremely uncomfortable if it's in the path of high winds. In that case, clear panels are an ideal option because they can block the wind without hiding the view. 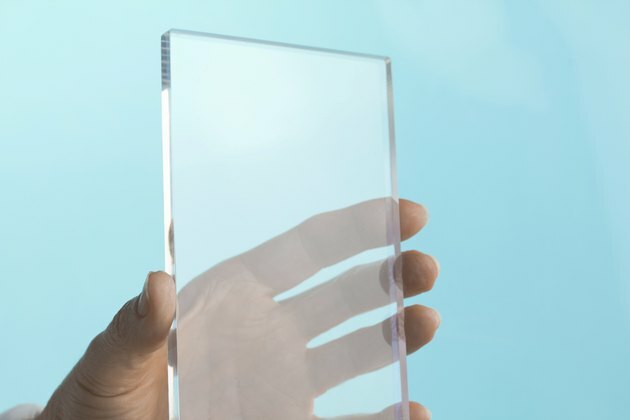 Plexiglass is usually the best material for these types of wind screens because it's strong enough to withstand the wind and fairly easy to clean. What Can I Use to Block the Wind on My Porch?